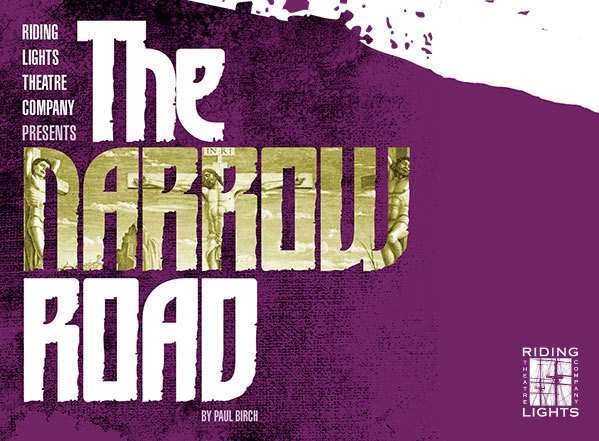 Riding Lights Theatre Company are pleased to announce a revival of their acclaimed passion play The Narrow Road by Paul Birch, from Monday 25 March to Saturday 20 April, and are now taking bookings. As we walk with these people to the cross and on into the challenge of a life beyond, 'The Narrow Road' asks each of us to review our understanding of our own faith in relation to that journey. There are pauses in the performance which give opportunities for personal reflection and worship. To book a performance, please contact Bethan Gibb-Reid on 01904 655317 or email touring@rltc.org to find out more about hosting a performance. More information can be found by visiting the Narrow Road webpage.